A good book I read, The Lace Makers of Glenmara. Beer batter fish and chips. It was delish. The boys caught the fish, and also 12 crabs, but some guy that was there when they unloaded, threw them all back! He was a just a guy, not a game warden. But you can see they got over it. That crab sure would have been good... Dumb guy. We spent our 35th anniversary at Salt Creek again. It's near Port Angeles, WA. We had friends that came over the weekend, Micah, Amie and Sean, and then we got to move to a prettier camp above a beach on the Strait of Juan de fuca. I took video of the beach and spot 56 so you could see our cool spot and hear the waves we heard all day and night. Better than a spa. Last night I got to see David Gray and Ray Lamontagne at a concert at Marymoor park in Redmond. Ray is my favorite singer. It was awesome. Even better than I dreamed. They played almost all of my loved songs and that is my dream team of singers. Gosh it was good. I took video, but I doubt anyone wants to see my lam-o vid-e-o. I wish you all could have been there. 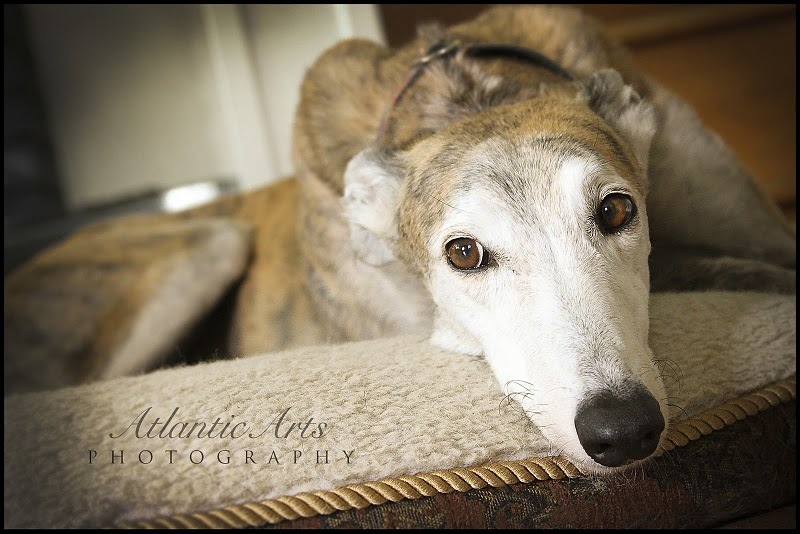 My awesome wedding photographer friend, Jenn, is doing an a-z challenge, and our Greyhound, Flight was G. Here's a link to Jenn's site. I finally got this book, which I've been wanting ever since it came out. It looks even better than I thought it would. It came at a good time, because we are going camping this week to celebrate our 35th anniversary. ( It was supposed to be the year we went to Italy, but...) I plan on using my spare time while we are camping to do the exercises in Carla's book. I'm hoping it will be the kick start I need. I have completely lost my impetus for doing my print project. I haven't painted anything for weeks. I probably won't finish out the year. I think I will just go back to working on originals for now. I have much less time to paint while the house is for sale and various other things are going on, so it's just not possible to keep going.